Update September: just reduced in price. Located in the Granada province, only 3 min walk to the beach. This is one of those true Boutique hotels in the area that sets the standard for the rest, the owners transformed what used to be the Historical Inn of the city into a gem with great attention to details. 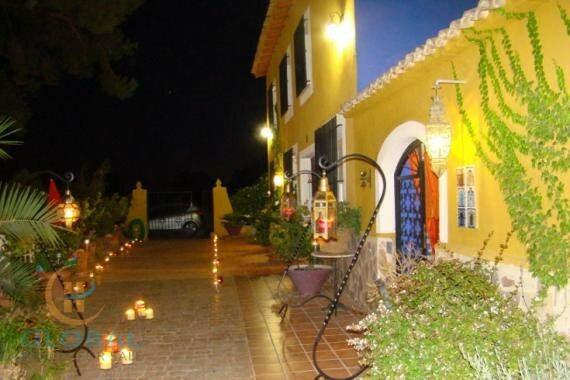 Located in the Granada province, on a 3 min walk from the beach. The hotel has 7 very spacious high end rooms, all with en-suite bath/showers, A/C, coffee & tea makers, safe, hair dryer and Wi-Fi. The hotel also has the absolute best restaurant in town with to die for sky views of the beach as well a bar with piano area. Each room is decorated slightly different but with great taste, there are 2 double rooms and 2 twin rooms without sea views and 3 double rooms with private sea view terraces, all the rooms have been recently (2016) refurbished and had their sound insulation upgraded. Businesswise the Hotel & Restaurant combo are a marvel and the current owners run it on full staff basis with chef and sous-chef, so those looking to get into the hotel business should not shy away from this opportunity as the current staff is willing to continue and fortunately there is an ample supply of highly prepared tourism professionals in the area. The hotel & restaurant are only open 9 months a year and still have managed to turn over a quarter of a million for the past three years with noticeable increases year after year. The hotel also has an 8th smaller room that the current owner uses as an office. There is also a license to build 10 self-contained units and parking for all of them as well a pool already in place and approved by the local “ayuntamiento”. The owners have not begun the expansion due to their desire to sell which are partially driven by their time already running the place (since 2010) and due to health reasons disclosable to serious buyers. This is a fantastic business lifestyle opportunity that also brings financial reward and the current strong operation lends itself to both active and passive management, the income generated currently more than merits and allows for a full time hotel manager allowing the owners to spend their days enjoying the beach, the food, the wonderful weather & life in general. The stunning bay of La Herradura, together with its neighboring town of Almuñecar, forms the tourist capital of Costa Tropical. However, it is still a relatively unknown stretch along Spain’s southern coastline, which belongs to the Granada province in Andalusia; lying between the more populous Costa del Sol to the west, and the Costa Almeria to the east. The area forms one of the most attractive bays along the southern coast of Spain, with its two large natural promontories, the Punta de la Mona and Cerro Gordo, which protect a two kilometer long sandy beach. Water sports are very popular and there are numerous businesses offering different types of courses and equipment hire. Divers will find some of the best underwater scenery here, along the whole southern coast and the best scuba diving in Spain, Salobrena, La Herradura and Almunecar (where most of our diving takes place!) is a National Marine Reserve that plays host to an immense variety of marine life. As a result, the area has an extraordinarily subtropical climate, which can be seen in the variety of exotic products to be found in the local markets, especially the different fruits. There is the possibility to finance a portion of the purchase should the buyers be unable to obtain finance from a third party by transferring the current mortgage expiring in 2025.